All coupons must have a valid expiration date and scannable bar code and may not be duplicated. • Must have serial numbers and follow industry standard formats. 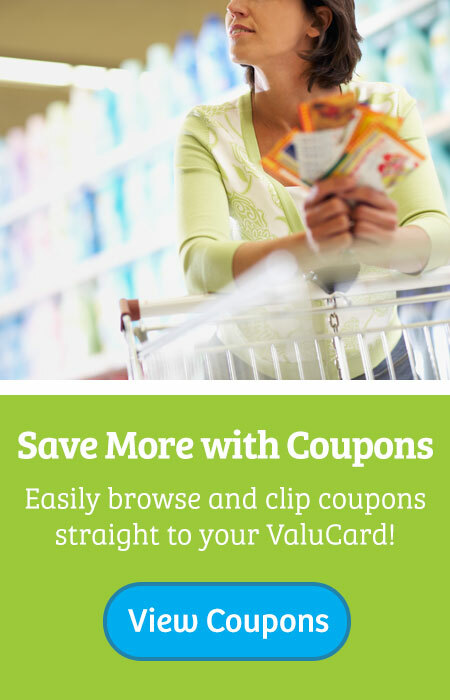 • Cents off coupons are redeemable only when purchasing the specific brand and product(s) stated on the coupon, with the face value of the coupon deducted from the retail or ValuCard price. • Free item coupons are redeemable only when purchasing the specific brand and product(s) stated on the coupon for the retail or ValuCard price not to exceed the amount printed on the coupon.